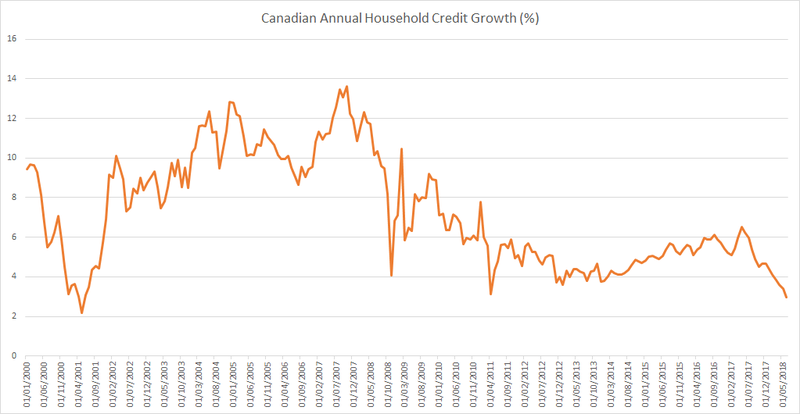 Canadian household credit growth is slowest since 2001 with Household credit (Annualized 3-month growth rate) growing at 2.98% and Household Mortgage credit (Annualized 3-month growth rate) growing at 2.85%. 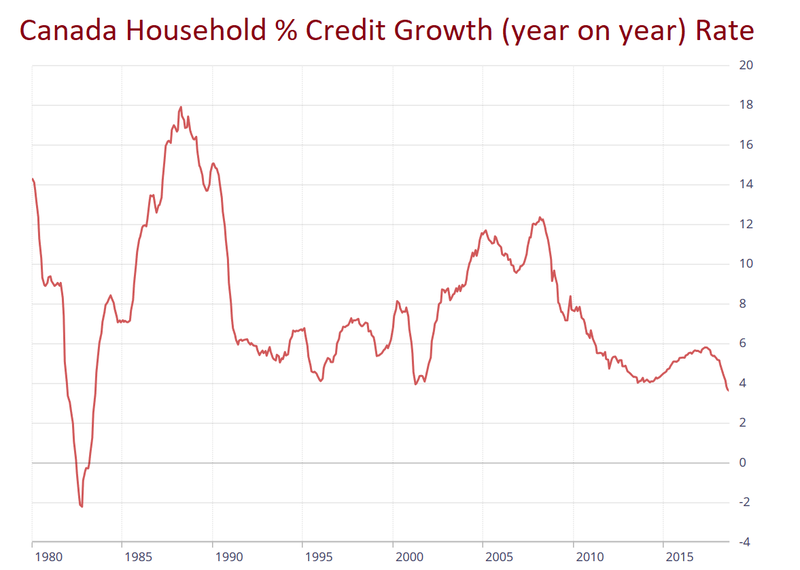 Where is the biggest property bubble? 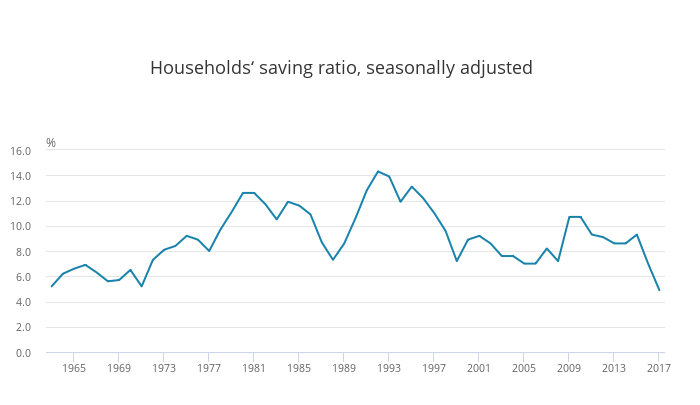 We recently wrote about the UK household savings ratio falling to a record low of 4.9% in 2017 (since comparable records began in 1963) as growth in households’ spending exceeded the growth of households’ income. (Read more here). The European Central Bank (ECB) has asked Deutsche Bank to estimate the costs of winding down its trading operations. Apparently Deutsche Bank is the first bank that has been asked to run this exercise, but others may follow.